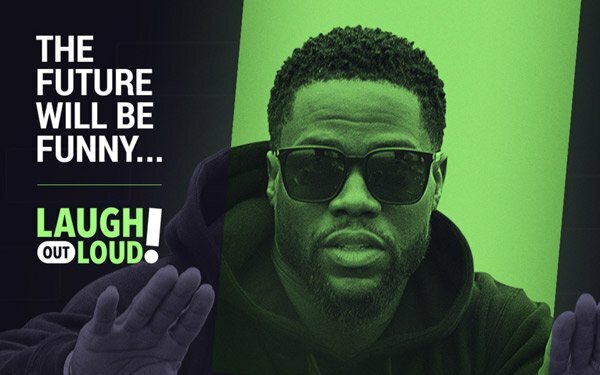 Comedian Kevin Hart has gone all in on video with his Laugh Out Loud (LOL) streaming video service, poised to launch on Aug. 3. The streaming service, in partnership with Lionsgate, will feature original scripted and unscripted comedy series, stand-up specials, licensed programming and live broadcasts. For the service, Hart partnered with comedians GloZell, King Bach, Emmanuel Hudson, DC Young Fly, Draya Michelle, David So, Timothy DeLaGhetto and Anjelah Johnson, among others, who’ve amassed large social media followings. LOL will also highlight up-and-coming comedians curated by Hart through its own showcases at events, including a partnership with the “Just for Laughs” comedy festival. In the last few weeks leading up to the launch of LOL, Hart debuted his hidden camera series, “Kevin Hart: Lyft Legend” on Facebook. In the series, sponsored by Lyft, and featuring guests such as Joel McHale, Hart plays an over-sharing Lyft driver named Donald Mac. Among LOL's programming highlights are "Black Geo(Dormtainment)," a satirical investigative series into the origins of black culture through sketch comedy; "Campus Law," a scripted sitcom based on three recent college graduates who decide to get jobs as security guards on their former campus; and "Dead House," a scripted sitcom from comedian Andrew Bachelor, about a human joining the cast of a reality show in which four zombies must live and work together in one house. LOL is part of a multiplatform network that produces and distributes custom content daily to LOL’s app, website and social media platforms. There is also "What the Fit?" -- an unscripted series exclusive to LOL’s YouTube channel, where Hart attempts grueling trends in fitness alongside his celebrity friends and YouTube stars. The LOL app is free on iOS and Android on Aug. 3. Users can upgrade for $2.99 per month for ad-free viewing.